This collection of Adjustment Presets is all about “looks” mimicking film, grain, and even a few Hollywood movies. Many of these presets involves a customized mask, which provides a look that isn’t possible to attain in Aperture alone. The end result is a collection of effects that you will find unique, fun, and flexible! WINNER of “What Do YOU Want in Aperture 3?” Contest Announced! Well that was weird… let’s see if anyone else saw the same thing. I updated to Aperture 3.0.2 last night, and as you can see from the previous post, just imported some images. I did two imports to two new projects, and when I went to look for the projects… they were missing! Here’s a small but very useful update in Aperture 3.0.2. When importing files (or presumably at any stage of processing), the Activity Window now shows you exactly what file it’s working on. This can be very handy if Aperture is stuck on a corrupted file; you can now see exactly what it’s working on. Many have noted that Aperture 3 is lacking the YouTube and iTunes share features that you find even in QuickTime Player. Curious for sure, but here’s two (not exactly ideal but better than nothing) solutions. If you are working Managed, meaning your master files live inside the Aperture 3 library, you can take advantage of the “Open in Editor” function. However this also means you’ll have a duplicated movie that you’ll likely want to delete when you’re done. Reader and contributor Pablo Yanez has posted a detailed “help me Obi-Wan” solutions-list over in the forums. If you’re still fighting a problematic upgrade from Aperture 2 to 3, run don’t walk and check this post out. You just might save your sanity. Article is here. Thanks Pablo! This update addresses an issue affecting the playback of HD video clips used in Aperture 3 slideshows on Snow Leopard. Audio and video tracks now remain properly synced in video clips that have been trimmed. There’s a clever new metadata set in Aperture 3 called Photo Usage that keeps track of files that have been emailed, exported, ordered as print, ordered via book, or printed. And where there’s a metadata tag, there’s the ability to search. One of the new features in Aperture 3 are colored labels. Personally I wasn’t so sure what I’d do with them, but of course it’s always nice to see more options. A feature I’ve always wanted was a way to bookmark an edit. Say I’m going through a 1,000 image shoot, and need to stop to do something else; maybe look at another project, or just shut down for the night. In Aperture 2, there was no way to know where I’d left off when I came back to the album. Sure, if it was the first pass I could just look for the unrated photos (assuming I was rating all of them… which I don’t). If it was a subsequent pass, there was simply no way to tell where I’d left off. In updating my eBook “In-Depth Getting Started with Aperture 3”, updating screenshots and the like, I noticed a few subtle changes that don’t necessarily deserver a full “tip” post, but are worth sharing here. Thanks to everyone for your support and patience… the new “In-Depth Getting Started with Aperture 3“ eBook is OUT! I’ll be sending out new download codes to everyone who pre-purchased right away. 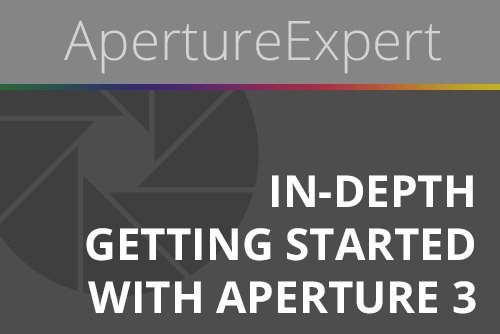 If you’re new to Aperture and serious about getting started, or even an experienced user who’s not sure if you started off on the right foot, this eBook is for you. 126 pages of detailed step-by-step guides on importing, rating, adding keywords, editing and sharing your photos! Here’s a little gem hidden in Aperture 3 that’s quite handy… a keyboard shortcut that’s not listed in the keyboard shortcut list, for setting White Balance. 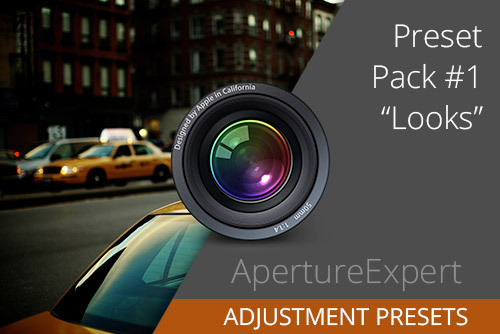 Hi ApertureExpert readers! I’m going to be traveling to Singapore then to Hong Kong towards the end of March… specifically I’ll be in Singapore from March 20-25, and Hong Kong from 25-29. I’m pretty busy in Singapore with the conference I’m speaking at, but hope to announce an Aperture seminar there very soon. HK however is pretty free at the moment. I’d love to do some kind of workshop, Aperture seminar, or at minimum a photowalk while there! with Aperture 3” book I’m working on now. This is an entire new addition to the book and I’m excited to share it here just because of just how dramatically the import process is improved in Aperture 3. If you import a large quantity of photos, and/or are on a slower computer, you’ll notice that it takes some time to import the pictures. Which makes sense of course; Aperture is copying those pictures from the card or camera to your computer (which naturally takes time), but it’s doing a lot more than that. For the above import, here’s the process of what Aperture went through after clicking the Import button. Lots to look at here (above), in two primary chunks. There’s the import, and then the processing. Notice that the initial “Processing Embedded JPEGs” is happening faster than the “Copying files to Aperture Library”.